In the near future, the telephone exchange will turn into a multi-purpose, inexpensive “harvester” that will combine all the devices and functions needed by the modern office: PBX, VPN router, an authorization server, Internet access, Wi-Fi network and much more. All services will come from a single noiseless and small “box”, which requires a minimum space for installation and therefore does not require additional premises for which it would be necessary to pay rent. The cost of such a device is much lower than the cost of a whole set of individual devices. An important plus to a single solution is one control point, which allows you to manage the entire network by using the minimum amount of resources. In place of ordinary phones will come phones with an interactive display and support for synchronization with a mobile phone, viewing e-mail messages, listening to music, video calls and video conferencing. 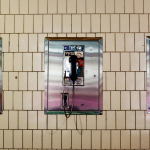 the widespread use of endpoints that are not tied to VoIP solutions by the end manufacturer. 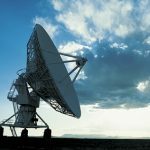 The growth in deliveries of standard and inexpensive SIP devices will revolutionize the use of VoIP and the preferences of end users – it will become as affordable and cheap as mobile communications now. 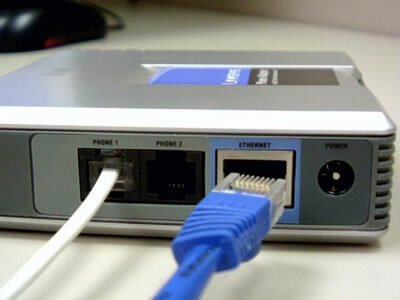 In connection with the active dissemination of SIP technology, when we can get a regular telephone line as a configuration file via the settings page via the Internet, use it wherever there is access to the Network and with the same success to connect it to the PBX, we should expect solutions that are not Will be tied to the office infrastructure. We can also expect the growth of the popularity of outsourcing of services such as IP telephony without a telephone exchange in the office as a hardware complex. 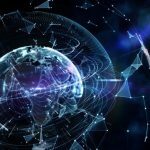 It is worth noting that the need for monitoring conversations, collecting statistics and monitoring the telephone system will lead to the inevitable emergence of deployed software solutions that will allow centralizing administration and understanding the movement of telephone traffic even in situations where we use virtual lines and refuse a centralized automatic telephone exchange. This does not mean that such a scheme will become classical, but the need to install something more than a small router in a remote office will disappear. After all, remote office users will get their SIP numbers over a secure connection to the main office via the Internet. In fact, the cost of hardware in remote offices will be minimized. As for wireless Wi-Fi-telephony, it is possible to expect widespread use only when Wi-Fi coverage is maximized. This is currently not very relevant for Ukraine, where the frequency in the 2.4 GHz band is licensed throughout the state. This does not contribute to the development of a private wireless network that could grow to the scale of a district or even a city. The main obstacle to IP telephony in any environment is delays and the need for bandwidth security. In fact, the question is that at one point in time the line can produce 100 MB / s and 0 MB / s at the next time. If you take a situation with the classic Wi-Fi network and users in it, then delays in seconds for them will not be noticeable, in the case of delays or even data loss, network protocols with guaranteed data transfer will simply repeat the request. 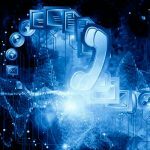 In a telephone conversation, it is impossible to use such protocols – communication takes place in real time, a guaranteed data transmission band for telephony should always be. Therefore, the most suitable solutions are solutions where there are a separation and prioritization of traffic, centralized control systems (controllers), as well as roaming between points to increase the reliability of the system as a whole. For now, there is no need to expect a breakthrough in this area, in comparison with classical corporate-level DECT-systems, both in terms of security and reliability in general.